For 100 years, we’ve delivered original, evidence-based policy leadership that has pushed the progressive movement and our country forward. Our work has contributed to policies that make the economy stronger, elections fairer, communities healthier, and schools and society more equitable. Today, that legacy continues in our fight for higher wages and stronger worker protections, universal health care and debt-free college, and equal rights for all people, to name just a few examples. Although the particular issues we work on change as the nation’s politics evolve, what does not change—what has never changed—is our commitment to solving problems and making a lasting impact, no matter what or how long it takes. In the century ahead, The Century Foundation will continue to do what we do best. We’ll quietly focus on the details that matter, as others fight to be the loudest in the room. And we’ll pursue outside-the-box solutions, despite what powerful defenders of the status quo may say. We’re launching a new pop-up think tank for the next generation of policy leaders called Next100, and making space for new voices to help shape the headlines of tomorrow (submit yours below!). If you could write the headlines of tomorrow, what would they be? Share your vision for progressive change here. Yes, I would like to sign up to receive emails from The Century Foundation. Yes, TCF can share my submission publicly alongside other progressive leaders. Give $100 for our 100th! Make a $100 tax-deductible donation to help support our work for another century! 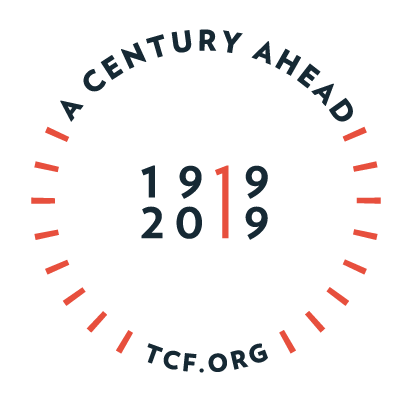 The Century Foundation is celebrating 100 years of policy progress with the launch of Next100, a pop-up think tank for the next generation of policy leaders.